"The content and didactics of the preparatory European Business Competence License (EBC*L) courses were more convincing than the majority of other basic business economy courses that were tested. Their notable advantage: The content that needs to be conveyed by the instructors is clearly defined in the learning target catalogue of the EBC*L."
"The test demonstrates: basic business economy courses often do not provide the promised insights. EBC*L courses on the other hand, provide clearly defined and practice-oriented contents ..."
The search for an education in business economy in Google results in more than 10 000 hits. Which one is the right one to choose? The EBC*L specifically guarantees that the practically required aspects of business economy knowledge are met. Amongst other reasons, this is guaranteed by the learning target catalogue, which was developed in cooperation with companies and professionals from the field. The learning target catalogue as well as sample tests are easily accessible. Hence, you are not buying the proverbial pig in a poke and are also not subjected to the thematic preferences of the instructors, but are guaranteed, in advance, exactly which business economic themes and terms will be discussed. All participants are informed of the content and the examining system a priori. The challenging but fair exam (no trick-questions) can be prepared for in a precise manner. The costs and the time expenditure for the EBC*L are comparatively low and often constitute merely a fraction of those required for other business economy courses. Additionally, several local and international subsidies may reduce the costs. EBC*L preparatory courses and exams can be attended in all EBC*L countries at the accredited EBC*L examination centres. These centres have committed themselves to strict quality standards and also guarantee targeted preparation. Surely, there is also an EBC*L examination centre close to you. According to the most recent Staufenbiel-study, 75% of all businesses expect entrepreneurial thinking and business economy know-how from their key personnel. Other studies, however, show that even amongst those with secondary education, only a small percentage is in command of basic business economy know-how. This exemplifies that business economy understanding and knowledge, as well as credible confirmation of these skills, is crucial for a competitive advantage. 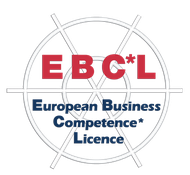 The EBC*L covers the entire spectrum of business economy practice-relevant know-how, from core knowledge in business economy (Level A) over planning competence (Level B) up to leadership competence (Level C). Training material and teaching concepts are developed with up-to-date and progressive learning psychological insights which guarantees optimised learning success in a short period of time and includes award-winning E-Learning and Blended-Learning programmes. The EBC*L can also, in compliance with certain conditions, be passed in English - or any of the other 24 languages it is translated into. In comparison to the business English courses usually offered, the EBC*L provides not just general communication skills but guarantees a profound understanding of the actual business economy terminology in a foreign language. Two thirds of all businesses slip into insolvency for reasons of poor business economy decision-making and insufficient planning. The EBC*L covers the necessary business economy knowledge to a large extent. The official confirmation of these skills and competences will enhance the chances of receiving grants and financial support from banks and funding commissions. Businesses can offer a recognised and hence motivating educational measure that demands very little time and costs. Business economy is, therefore, no longer limited to a small elite in a business. 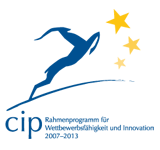 Furthermore, the EBC*L provides evidence of learning successes with the exam, making a perfect tool for training evaluation. The exam assures funding agencies that participants did not just visit a seminar but definitely learnt something. Educational institutions, schools and universities may also measure the quality of their educational measures and use the EBC*L certification system as a proven record for their training success. The most successful EBC*L are invited to take part at the biggest Business Competence Competition and fight for the title „EBC*L Champion“.